1. This request for a preliminary ruling concerns the interpretation of Article 15(c) of Council Directive 2004/83/EC of 29 April 2004 on minimum standards for the qualification and status of third country nationals or stateless persons as refugees or as persons who otherwise need international protection and the content of the protection granted […]. 2. The request has been made in proceedings between Mr Diakité, a Guinean national, and the Commissaire général aux réfugiés et aux apatrides (Commissioner General for Refugees and Stateless Persons) (‘the Commissaire général’) concerning the Commissaire général’s decision not to grant Mr Diakité subsidiary protection. "1. This Protocol, which develops and supplements Article 3 common to the [four Geneva conventions] without modifying its existing conditions of application, shall apply to all armed conflicts which are not covered by Article 1 of the Protocol Additional to the [four Geneva Conventions], and relating to the Protection of Victims of International Armed Conflicts (Protocol I) and which take place in the territory of a High Contracting Party between its armed forces and dissident armed forces or other organised armed groups which, under responsible command, exercise such control over a part of its territory as to enable them to carry out sustained and concerted military operations and to implement this Protocol […]". Article 2(e) of Directive 2004/83 states that, for the purposes of that directive, the phrase ""person eligible for subsidiary protection" means a third country national or a stateless person who does not qualify as a refugee but in respect of whom substantial grounds have been shown for believing that the person concerned, if returned to his or her country of origin […], would face a real risk of suffering serious harm as defined in Article 15 … and is unable, or, owing to such risk, unwilling to avail himself or herself of the protection of that country". (c) serious and individual threat to a civilian’s life or person by reason of indiscriminate violence in situations of international or internal armed conflict". 9. On 21 February 2008 Mr Diakité applied for asylum in Belgium, invoking the repression and violence that he had endured in his country of origin by reason of his participation in protest movements against the ruling regime. 10. The Commissaire général refused to recognise Mr Diakité as having refugee status or to grant him subsidiary protection. That twofold decision was upheld by the Conseil du contentieux des étrangers (Belgian asylum and immigration board). 11. On 15 July 2010, not having returned to his country of origin in the meantime, Mr Diakité applied again to the Belgian authorities for asylum. 12. On 22 October 2010, the Commissaire général once again refused to recognise Mr Diakité as having refugee status or to grant him subsidiary protection. The Commissaire général’s refusal to grant subsidiary protection was based on the finding that there is no situation of indiscriminate violence or armed conflict in Guinea as referred to in paragraph 2 of Article 48/4 of the Law of 15 December 1980. 13. Mr Diakité brought an appeal against that twofold decision before the Conseil du contentieux des étrangers, which, by judgment of 6 May 2011, upheld the Commissaire général’s twofold refusal. 14. In his appeal in cassation before the Conseil d’État (Council of State, Belgium) ("the referring court"), Mr Diakité contests the judgment of the Conseil du contentieux des étrangers in so far as that judgment relies on the definition of ‘armed conflict’ used by the International Criminal Tribunal for the Former Yugoslavia in order to find that the condition laid down in paragraph 2 of Article 48/4 of the Law of 15 December 1980 – that there must be an armed conflict – has not been met. 15. In that context, the referring court holds that, in view of the judgment in Case C-465/07 Elgafaji  ECR I-921, it is possible that, as Mr Diakité asserts, the concept of ‘armed conflict’ as referred to in Article 15(c) of Directive 2004/83 may be interpreted independently of, and have a different meaning from, the concept of ‘armed conflict’ as defined in the case-law of the International Criminal Tribunal for the Former Yugoslavia. "Must Article 15(c) of [Directive 2004/83] be interpreted as meaning that that provision offers protection only in a situation of “internal armed conflict”, as interpreted by international humanitarian law, and, in particular, by reference to Common Article 3 of the four Geneva Conventions? If the concept of “internal armed conflict” referred to in Article 15(c) of [Directive 2004/83] is to be given an interpretation independent of Common Article 3 of the four Geneva Conventions …, what, in that case, are the criteria for determining whether such an “internal armed conflict” exists?" 18. In that regard, it should be borne in mind that the three types of serious harm defined in Article 15 of Directive 2004/83 constitute the qualification for subsidiary protection, where, in accordance with Article 2(e) of that directive, substantial grounds have been shown for believing that the applicant faces a real risk of such harm if returned to the relevant country of origin (Elgafaji, paragraph 31). 19. The type of harm specified in Article 15(c) of Directive 2004/83 consists in a serious and individual threat to a civilian’s life or person by reason of indiscriminate violence in situations of international or internal armed conflict. 20. In that regard, it should be noted that the EU legislature has used the phrase "international or internal armed conflict", as opposed to the concepts on which international humanitarian law is based (international humanitarian law distinguishes between "international armed conflict" and "armed conflict not of an international character"). 21. In those circumstances, it must be held that the EU legislature wished to grant subsidiary protection not only to persons affected by "international armed conflicts" and by "armed conflict not of an international character", as defined in international humanitarian law, but also to persons affected by internal armed conflict, provided that such conflict involves indiscriminate violence. In that context, it is not necessary for all the criteria referred to in Common Article 3 of the four Geneva Conventions and Article 1(1) of Protocol II of 8 June 1977, which develops and supplements that article, to be satisfied. 22. 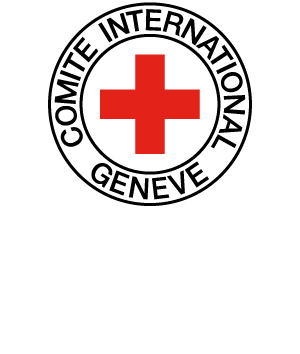 In addition, it should be noted that international humanitarian law governs the conduct both of international armed conflicts and of armed conflict not of an international character, which means that the existence of either type of conflict acts as a trigger for applying the rules established by such law (judgment of the Appeals Chamber of the International Criminal Tribunal for the Former Yugoslavia of 2 October 1995 in Case No IT-94-1-AR72 Prosecutor v Dusko Tadic a/k/a ‘Dule’, paragraph 67). 23. While international humanitarian law is designed, inter alia, to provide protection for civilian populations in a conflict zone by restricting the effects of war on persons and property, it does not – by contrast with Article 2(e) of Directive 2004/83, read in conjunction with Article 15(c) of that directive – provide for international protection to be granted to certain civilians who are outside both the conflict zone and the territory of the conflicting parties. [...]. 24. More generally, it should be pointed out that […] international humanitarian law, on the one hand, and the subsidiary protection regime introduced by Directive 2004/83, on the other, pursue different aims and establish quite distinct protection mechanisms. 25. Moreover, […] certain breaches of international humanitarian law give rise to individual criminal liability. Because of this, international humanitarian law is very closely linked to international criminal law, whereas no such relationship exists in the case of the subsidiary protection mechanism provided for under Directive 2004/83. 26. Accordingly, it is not possible – without disregarding those two distinct areas, the one governed by international humanitarian law and the other by Article 2 (e) of Directive 2004/83, read in conjunction with Article 15 (c) of that directive – to make eligibility for subsidiary protection conditional upon a finding that the conditions for applying international humanitarian law have been met. 27. Consequently, since Directive 2004/83 does not define ‘internal armed conflict’, the meaning and scope of that phrase must […] be determined by considering its usual meaning in everyday language, while also taking into account the context in which it occurs and the purposes of the rules of which it is part […]. 28. The usual meaning in everyday language of ‘internal armed conflict’ is a situation in which a State’s armed forces confront one or more armed groups or in which two or more armed groups confront each other. 29. It should be noted in that regard that, although the Commission proposal for the adoption of Directive 2004/83 envisaged that the definition of ‘serious harm’ under Article 15(c) of that directive would recognise that threats to the life, safety or freedom of the applicant could arise either through armed conflict or through systematic or generalised violation of human rights, the EU legislature ultimately decided to retain only the idea of a threat to a civilian’s life or person by reason of indiscriminate violence in situations of international or internal armed conflict. 30. Furthermore, it should be borne in mind that the existence of an internal armed conflict can be a cause for granting subsidiary protection only where confrontations between a State’s armed forces and one or more armed groups or between two or more armed groups are exceptionally considered to create a serious and individual threat to the life or person of an applicant for subsidiary protection for the purposes of Article 15(c) of Directive 2004/83 because the degree of indiscriminate violence which characterises those confrontations reaches such a high level that substantial grounds are shown for believing that a civilian, if returned to the relevant country or, as the case may be, to the relevant region, would – solely on account of his presence in the territory of that country or region – face a real risk of being subject to that threat (see, to that effect, Elgafaji, paragraph 43). 31. In that regard, the Court has stated that the more the applicant is able to show that he is specifically affected by reason of factors particular to his personal circumstances, the lower the level of indiscriminate violence required for him to be eligible for subsidiary protection (Elgafaji, paragraph 39). 32. In that context, it is not necessary, when considering an application for subsidiary protection, to carry out a specific assessment of the intensity of such confrontations in order to determine, separately from the appraisal of the resulting level of violence, whether the condition relating to armed conflict has been met. 33. Moreover, it is clear from recitals 5, 6 and 24 to Directive 2004/83 that the minimum requirements for granting subsidiary protection must help to complement and add to the protection of refugees enshrined in the Convention relating to the Status of Refugees, signed in Geneva on 28 July 1951 […]. 34. In consequence, […] the finding that there is an armed conflict must not be made conditional upon the armed forces involved having a certain level of organisation or upon the conflict lasting for a specific length of time: it is sufficient if the confrontations in which those armed forces are involved give rise to the level of violence referred to in paragraph 30 above, thereby creating a genuine need for international protection on the part of the applicant, who faces a real risk of serious and individual threat to his life or person. On a proper construction of Article 15(c) of Council Directive 2004/83/EC of 29 April 2004 […], it must be acknowledged that an internal armed conflict exists, for the purposes of applying that provision, if a State’s armed forces confront one or more armed groups or if two or more armed groups confront each other. It is not necessary for that conflict to be categorised as ‘armed conflict not of an international character’ under international humanitarian law; nor is it necessary to carry out, in addition to an appraisal of the level of violence present in the territory concerned, a separate assessment of the intensity of the armed confrontations, the level of organisation of the armed forces involved or the duration of the conflict. What does subsidiary protection mean? What is the purpose of Council Directive 2004/83/EC of 29 April 2004? Does everyone fleeing a non-international armed conflict (NIAC) as defined in IHL receive subsidiary protection? What additional conditions must be fulfilled under EU law? 2. (paras 20 and 21) Is there a difference of applicability between Article 3 common to the GCs and AP II? How many types of NIACs do you know? Is there a difference between the notion of internal armed conflict as defined by the court and the one required for the applicability of Article 3 common? According to the Court, what is the rationale behind the wording "internal armed conflicts"? 3. (para. 28) Is the material field of application of Article 3 common more restrictive than the usual meaning of the term “internal armed conflict”? 4. How does the court justify its interpretation? What are the legal arguments used? Do you agree with all of them? 5. Do you think that the approach taken by the Court in relation to IHL was necessary to effectively render the protection offered by the Directive complementary to refugee protection? Was it necessary to distinguish the notion of "internal armed conflict" and of "non – international armed conflict" to interpret Art. 2(e) of Directive 2004/83 in conjunction with Art. 15(c) of that directive? In light of what the court stated in para. 31? 6. In order to benefit from subsidiary protection, following Art. 15 (c) of the Council Directive, which specific criteria must the internal conflict satisfy according to the Court? What are the requirements for the applicability of Article 3 common to the GCs? What are the differences between the two? According to the Court? Does Article 3 common require a minimum of duration? A minimum of organization? Which of the prohibitions of Article 3 common, if any, need a minimum degree of organization to realistically be respected? 7. What level of intensity must hostilities reach to constitute an “armed conflict” sufficient for the article’s application? Do you think that internal tensions and disturbances are not covered by Article 3 common? Why? Because Article 1 (2) of Protocol II states that they are not armed conflicts? (PII, Art. 1 (1)) Did the ECJ clarify what the level of indiscriminate violence should be? What is the difference between “intensity of confrontations” and “level of violence”? 8. According to Art. 15 (c) of the Directive, is it sufficient that an armed conflict takes place? What does "indiscriminate violence mean"? Is every armed conflict characterized by "indiscriminate violence”? Is there a type of conflict which is more likely to have this characteristic? Why? 9. In non – international armed conflicts, is the protection based on status? (GCI-IV, Art. 3) In this respect, do you think that the reference in Art. 15 (c) of the Directive to "civilian’s life or person" is accidental? Does it follow that the intent of the legislature was to confer protection only in case of armed conflicts as defined by IHL? 10. Who is a civilian in a NIAC? Are only civilians protected by Article 3 common? Would a member of an armed group laying down his arms be a civilian? Would he be protected by Article 3 common? Would he benefit from subsidiary protection if he fled from the conflict to the EU (e.g. because he refuses to commit violations of IHL)? 11. Is it true that IHL "does not provide for international protection to be granted to certain civilians who are outside both the conflict zone and the territory of the conflicting parties"? (para. 23) Does Article 3 common apply in all situations? In light of the ICJ case Nicaragua v. US, does Article 3 common apply outside armed conflicts [See ICJ, Nicaragua v. United States, para. 218]? What about those rules in Article 3 common which constitute "elementary considerations of humanity"? Would this be relevant for the purposes of the present case? 12. Did the ICTY define in the Tadic case [See ICTY, The Prosecutor v. Tadic, A. Appeals Chamber, Jurisdiction] the scope of application of Article 3 common? 13. Do you think that the requirements for the applicability of IHL of non – international armed conflicts should be lower? In light of the present case? 14. Does EU Law provide a definition of the notion of "internal armed conflict” contained in art. 15 (c) of the directive? What are the rules of interpretation of a directive? Are there some primary rules and secondary rules in this regard? (Vienna Convention on the Law of Treaties of 1969, Art. 31) What is the approach adopted by the Court in this respect? For purposes of interpretation, together with the context what should be taken into consideration? Do you think that the Court missed some important considerations in this regard? 15. Is international law a system characterized by uniformity? Why? What are the legal arguments that you can make? 16. Does the Court violate Article 3 common or IHL if it applies a larger concept of armed conflict than IHL does? 17. Under international law, what is the difference between asylum seekers and refugees? Does IHL provide some protection for asylum seekers? For refugees? (GC IV, Art. 44, 45 (4) and 70 (2); PI, Art. 73) In this respect, would the protection offered by IHL be adequate in relation to the present case? Why? 18. Does the Refugee Convention of 1951 offer protection to persons fleeing armed conflicts? Does the directive in the present case offer it? Are these persons refugees according to the directive? 19. Is the protection provided by the OAU Convention broader? [See, Organization of African Unity, Convention Governing the Specific Aspects of Refugee Problems in Africa] What terminology is used by this Convention? (See OAU Convention, Art. 1) Does it recall IHL’s distinction between international armed conflicts and non – international armed conflicts? Why do you think the EU legislature adopted a different wording? In light of the above, what are your considerations in relation to the findings of the present case? 20. Can you make an assessment of the positive and negative aspects of this judgment? Do you think this decision could ultimately have an impact on the definition of non – international armed conflict under IHL? 21. (para 29) Considering the Commission proposal for the adoptions of Directive 2004/83 and the ultimate decision of the EU legislature "to retain only the idea of a threat to a civilian’s life or person by reason of indiscriminate violence in situations of international or internal armed conflict", what was, in your opinion, the purpose of the legislature? Was it to restrict or enlarge the scope of protection? As a consequence, do you agree with the reasoning of the court? 22. (para. 31) In your opinion, will this decision open up the playing field for asylum seekers in the Member States? What is the condition to obtain subsidiary protection? Do you think this condition is likely to be related to the presence of an armed conflict in the sense of IHL? Would your answer be different in light of the burden of proof that the court envisages for applicants?